Conversations become memorable when combined with kebabs. This is what is happening at K&K, ITC Kakatiya. Sous chef Aamer Jamal has prepared a selection of kebabs ranging from chicken, mutton, prawns and fish. In the vegetarian section, too, he has made a good selection. He has aptly named the entire affair a�?Guftagu Dobaraa�� that translates as a�?Conversations againa��. He wants to bring nostalgia again in the city especially among the youth hence the event. There are 11 varieties of kebabs that one can choose from. The names themselves are worth noticing such as Murgh Shikanja Kebab, Kagazi Kebab, Kunde Kebab, Mallika-E-Darya, Tirmizi Machhli, Kadak Seekh Kebab and more. To go with the kebabs are naans like Sheer Naan, Haldi Ki Roti and Cheese Naan. In the veg category are Khaasta Bhutte Ki Tikki, Tandoori Broccoli and Peshawari Paneer. 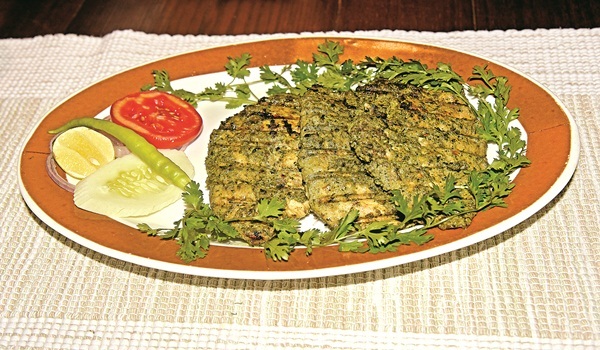 Out of these varieties Shikanja Kebab might become the permanent in the menu.